8mm Obsidian, Yellow Jade, & Red Jade. 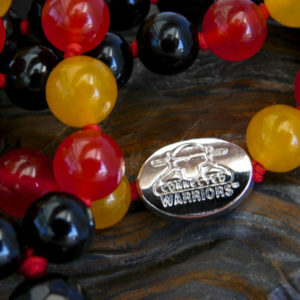 This Mala also has a custom-made Connected Warriors bead. 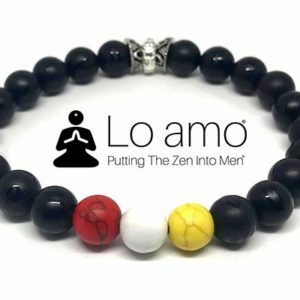 This wrist mala can be made in 6.5 or 7.5 inches. Please annotate which size you would like when you order in the notes section. Obsidian – is a very protective stone. It is said to form a shield against negativity and to absorb negative energies from the environment. Brings clarity to the mind and clears confusion. Helps you to know who you truly are. Obsidian dissolves emotional blockages and ancient traumas. It is very often used for gaining clear insight into problems and is considered a stable stone, bringing stability to its owner. Obsidian is truth-enhancing. A strongly protective stone, it forms a shield against negativity. It blocks a psychic attack and absorbs negative energies from the environment. Obsidian draws out mental stress and tension. It stimulates growth on all levels, urging exploration of the unknown and opening new horizons. Brings clarity to the mind and clears confusion. Helps you to know who you truly are. Obsidian dissolves emotional blockages and ancient traumas. Promotes qualities of compassion and strength. 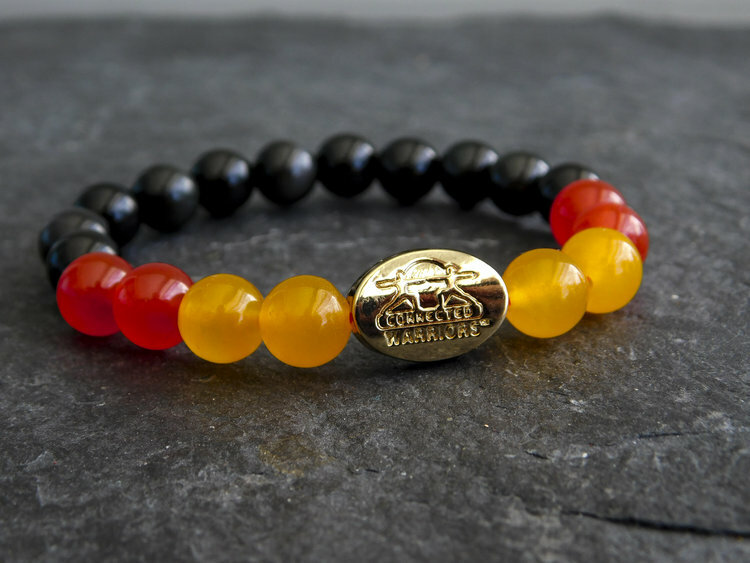 Yellow Jade – is all about a cheerful, energetic way of being. Use of yellow jade enhances assimilation and discernment. Yellow Jade is energetic and stimulating, yet mellow. It brings joy and happiness. Teaches the inter-connectedness of all beings. Yellow Jade aids the digestive and elimination systems of the body. Red Jade – is the most passionate and stimulating Jade. It is associated with love and letting off steam. It allows one to access anger, but release the tension in a way that can be constructive. Red Jade stimulates the Base Chakra, combining the energy of the Earth element with aspects of the Fire element.